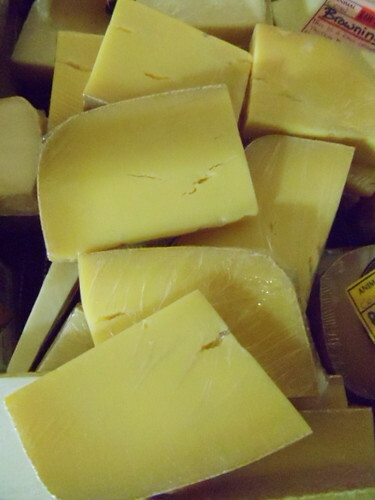 I’m going to pick another Consider Bardwell cheese as one of my cheeses of the week. Rupert is awesome. Made from raw Jersey milk, it’s an Alpine-style cheese that combines the pungency and bite of a well-aged Gruyere with a richness and sweetness not often found in this style cheese. We won’t have this cheese often – since it’s not really distributed out here — so I really enjoyed sampling it out. My apologies for not getting a picture of the beautiful wheel. We just went through it too quick. One thing I did find surprising about this cheese – and my only negative in what is otherwise and American masterpiece (Indeed, the Rupert tied for 3rd Place at the 2009 ACS competition where I was a judge) – is that is dried out very quickly. It’s a hard, pressed cheese and usually we can leave a piece of this class of cheese out all day and it just gets better. The Rupert, after a couple of hours of exposure to air became a little grainy and waxy. I would say this is a great cheese plate cheese (as well as an awesome melter) but I actually wouldn’t leave it out unwrapped for too long before serving. 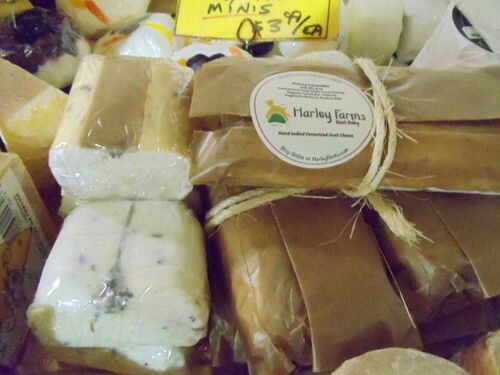 The other cheese that is always super fun to offer out is the Harley Farms fresh chevre with honey and lavender. Just like what it sounds like, the great thing about this cheese is the light hand the cheesemaker had. Lavender is kind of an “it” ingredient theses days but in a lot of food it just tastes like you’re eating at your hippie friend’s house who didn’t rinse off his plates after washing them with Dr. Bronner’s. The chevre has a great milky tang, the honey a rich sweetness, and the lavender just enough floral aroma and flavor to compliment everything else. $3.99 is definitely not the price for these. Do not get confused by the picture. After more than a decade of eating Harley Farms cheese (and Sea Stars before that) I didn’t think I could have a new favorite from Dee’s farm, but I do.